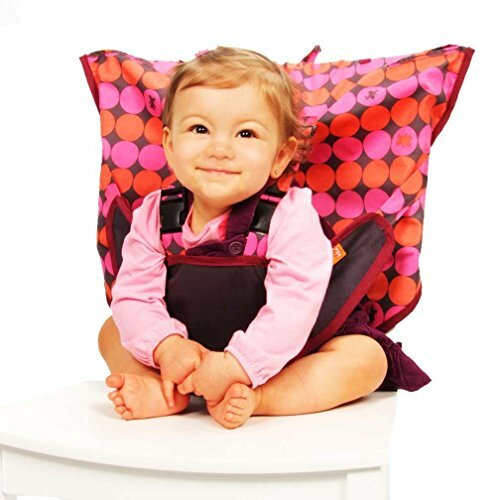 A compact fabric travel high chair that folds down to the size of a diaper in its own matching bag. Say "Goodbye" to using dirty high chairs at restaurants! Now you can easily take your baby's chair with you on all of your outings. 5 point harness holds baby securely in place.